In 1995, Maria Alice, a cook living in Portugal, noticed that her fingers and thumbs were shaking. She had also started to have trouble sleeping. Concerned, she went to the doctor. She was only 24. Her reaction to her diagnosis was disbelief, then shock and denial. As the disease progressed, her tremors worsened, leaving her with difficulty walking. On top of that, her medication gave her dyskinesia, causing involuntary twitches and nervous tics. She became embarrassed to leave the house for fear of other people’s reactions. Work became impossible. After living with her symptoms for 16 years, Maria Alice decided to seek help. 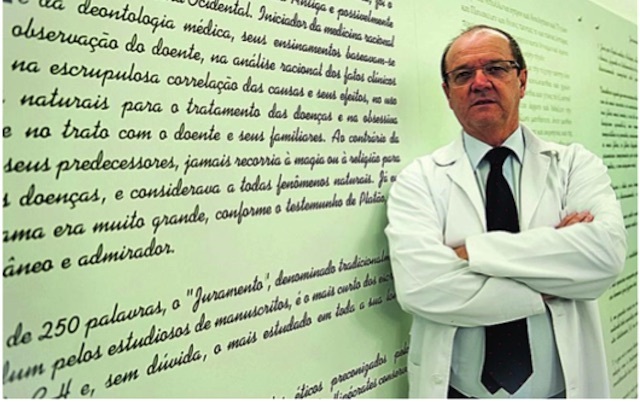 She met with Professor Rui Vaz at Hospital São João in Porto, Portugal, and found, to her relief, that she was a good candidate for deep brain stimulation therapy (DBS), a treatment for the movement symptoms of Parkinson’s, including tremor, stiffness, or difficulty moving. Maria underwent the surgery in 2009. The treatment turned Maria’s life around, improving her mobility and enabling her to feel “normal” again. 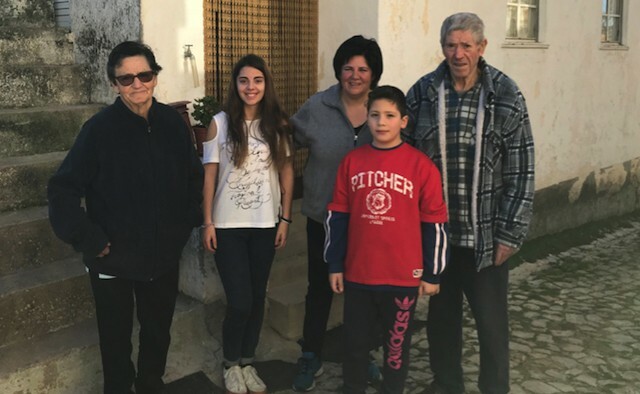 In 2012, three years after the operation, her mobility had improved significantly and she moved to a village near Pedrogão Grande, Portugal, to help take care of her parents and their animals. Five years later, when devastating forest fires struck the area, she was able to save her family, and prevent greater damage to their house and livestock – something she says she would have been physically unable to do before the therapy. She says: “It was all very fast and there was nobody else around. But I was able to save everything”. Deep brain stimulation (DBS) therapy is a treatment for the movement symptoms of Parkinson’s, including tremor, stiffness, or difficulty moving. Just like a pacemaker for the heart, a small neurostimulator is surgically placed under the skin of the chest or abdomen. The device sends electrical pulses through extension cables to the leads and electrodes that are placed in an area of the brain that controls movement. These pulses disrupt some of the brain’s messages that cause the symptoms associated with Parkinson’s. DBS therapy is reversible and can be discontinued at any time by turning off the neurostimulator, or surgically removing the device. Medtronic helped pioneer DBS, and more than 150,000 patients worldwide have received Medtronic DBS Therapy. For comprehensive information on deep brain stimulation and Parkinson’s, please visit the European Parkinson’s Disease Association (EPDA) website. Results may vary from patient to patients. Not everyone who receives Medtronic DBS Therapy will experience the same results. Some people may experience significant symptom relief from DBS Therapy, and others may experience minimal relief. Talk to your doctor to see if Medtronic DBS Therapy is right for you. For further information, please consult your healthcare professional who can explain the benefits, risks and important safety information. *Refer to the instructions for use for detailed information regarding the implant procedure, indications, contraindications, warnings, precautions, MRI compatibility of specific ACTIVA devices, MRI conditional labelling and potential adverse events. 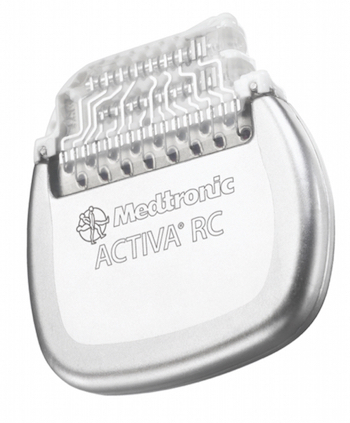 Visit the Medtronic website for more information about Medtronic ACTIVA™ RC Extended Neurostimulator. This article is sponsored by Medtronic. The information in this article is given for information purposes only and does not represent an endorsement by the EPDA of any particular treatments, products or companies. This article is not a substitute for advice from your doctor, pharmacist or other healthcare professional. Parkinson’s Life makes no representations or warranties of any kind, express or implied, about the completeness or accuracy of information provided. Carefully selected news stories from the international Parkinson's community. Could a transplant lower the risk of Parkinson’s? The International Parkinson and Movement Disorder Society is hosting its third summer school for nurses specialising in Parkinson’s. The course – which will be held from 10-12 May in Ljubljana, Slovenia – will focus on the management of the motor and non-motor symptoms of the condition. Students will also attend lectures, examine Parkinson’s patients and discuss treatment plans with experts. All lectures will be presented in English. Heather Vitale, senior programme manager at the International Parkinson and Movement Disorder Society, said: “This course offers a unique opportunity for nurses to enhance their knowledge in Parkinson’s disease, while also learning and networking with their peers through case study presentations and small group discussions.” Registration closes 26 April 2019 and costs USD $350. © Parkinson's Life 2019. All right reserved. Username Password forgot password? New to the site?